I have been playing the first two tests of a new SF game, somewhat along the lines of Germania(tm). It has been a struggle to get some fluidity into it (a hallmark of Germania(tm). I'm not sure whether I'll pursue it much further at this time. The (tm)s, by the way, indiate that I am trademarking the name Germania. Over Christmas I read a guide to PDF publication (aimed at role playing gamers) and saw that the primary means of declaring/securing a trademark is to declare it, with the tm. 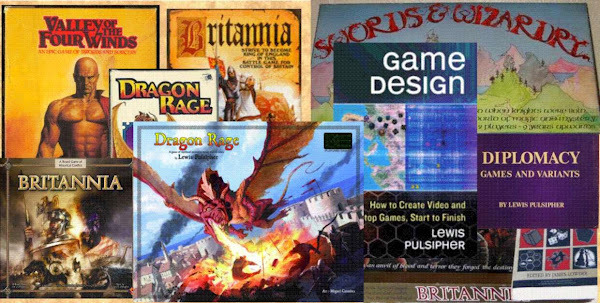 While I don't expect to publish boardgames as PDFs, I do have a collection of Diplomacy variants, and a set of rules for pitched battles for D&D-like games, that I'd like to see published somehow. PDFs are the "last resort" when a conventional publisher cannot be found.